I was a tad late (damn you parking!) but the group went in and grabbed our table first and started to look over the menu. I was in charge of ordering ALL THE DUMPLINGS and that was just what I did. 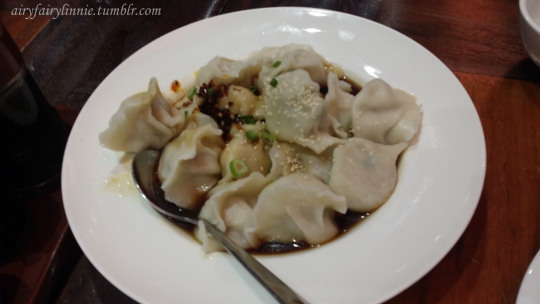 First up, the steamed pork dumplings in Sichuan Chili sauce. The sauce wasn’t too spicy (WINNING!!) and was a tad sweet. 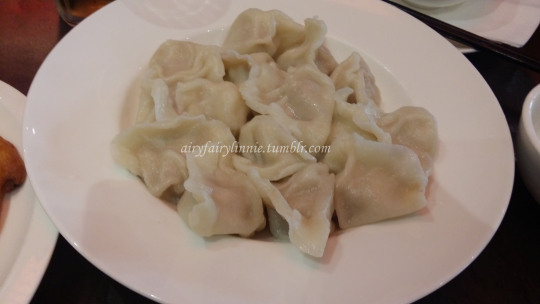 I love me some steamed dumplings and these were DELISH! We also got the steamed prawn and chicken and it was quite lovely as well. Prepare your own dipping sauce with vinegar and soy sauce (if you want to be fancy) and chuck in some chili oil (if you like it HAWWT) and DAMN SON those dumplings are YUMMO! 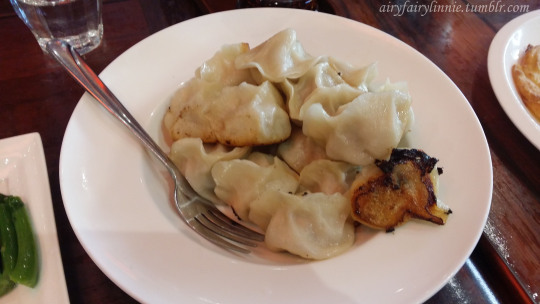 Mr Hipster really wanted his pan fried pork dumplings so we didn’t want to deny him of his fav dish. THIS WAS AWESOME! It was crispy on the bottom and steamed on the top and you don’t feel super unhealthy eating it. It was moist and juicy on the inside and the filling/skin ratio was PERFECT! My fav dish was NEXT!! 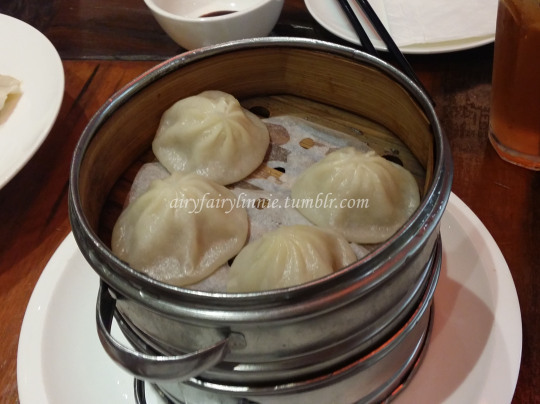 XIAO LONG BAO (they wrote it as shao long bao but whatevs, same same)!! I Love Dumplings did not disappoint. They were a bit on the small side but it was AWESOME SAUCE nonetheless. You pop it into your mouth and the juice bursts from the skin and mixes with the pork. I can’t get over how awesome it was. LOVE IT! Be careful though, the juice is hot so I’d recommend you leaving the dumpling in your dipping sauce for a bit to cool it down before popping it all in your mouth. When I say all, I don’t mean take a bite of it so the juice goes everywhere, I mean SHOVE THE GODDAMN THING IN YOUR MOUTH! One of the girlies wanted to have veggies to feel a bit healthier (who comes here for greens??) 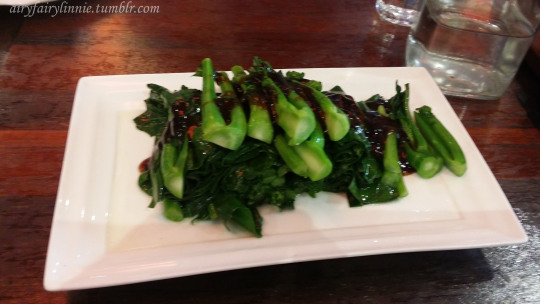 so we got the chinese broccoli with oyster sauce. They were a bit hard and what else can you say about veggies…? 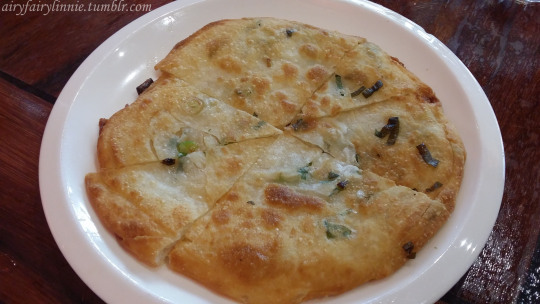 One of the girlies also wanted to get the spring onion pancake and this was surprisingly good. It was crispy on the outside and very flavoursome. It doesn’t have too much spring onions in it so you don’t become stanky on your date either (BONUS!). 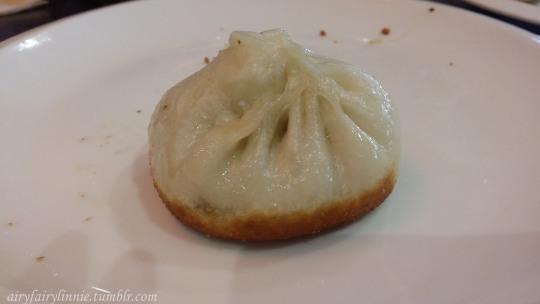 Since everyone still wasn’t full, we got the pan-fried pork buns and they were GINORMOUS. The filling/skin ratio was way off. There wasn’t a lot of filling and way too much bun-ness. It did get everyone super full though but wouldn’t recommend this dish. 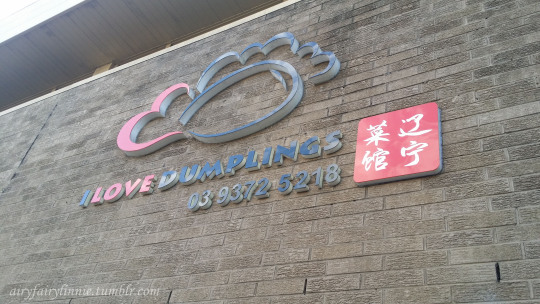 I love dumplings is a great joint if you’re craving some awesome dumplings. It’s super quick, great food and most importantly, super cheap. I love this place and will always suggest it because it’s quicker for me to get here than go all the way into the city. I hope I don’t turn into a dumpling with the amount of dumplings I’m consuming.